Attention: The following post is only available for RMNB Platinum readers who own two yachts, a dirigible, and several bidets installed in their gated-community mansions. I spent draft night like I would any other. I had my personal sommelier open a bottle of fine wine, reclined on my settee, and tuned my 65″ Sharp Elite PRO-X5FD series television onto TSN. My Capitals had two pics in the top 20, but I pondered how they’d handle it. Would they trade up for a top pick? Would GMGM infuriate the entire fan base and take more Russians? Would they work a deal for a veteran player? The possibilities are endless, I thought to myself as I fed my hairless sphynx some truffle shavings. After a few minutes of TSN’s coverage, I was infuriated. 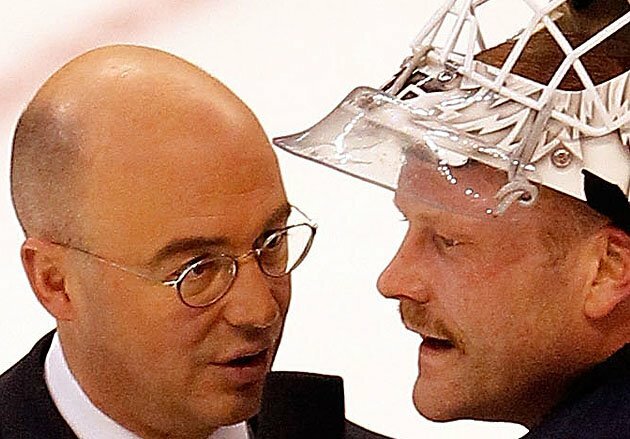 It wasn’t Pierre McGuire and his creepily tanned bald head. It was the NHL’s new electronic draft board created by IDS Sports, a tech company located in Jacksonville, Florida. The new digital draft board allowed real-time draft updates, as well as live video and animations. It aimed to keep both the crowd at Console Center and the audience watching at home entertained. Reasonable, I suppose. But this also meant an end to the NHL Draft Board signs and one of the most lucrative and sought out autographed insert cards in the history of hockey collectibles: The Cup’s Auto Rookie Draft Boards. 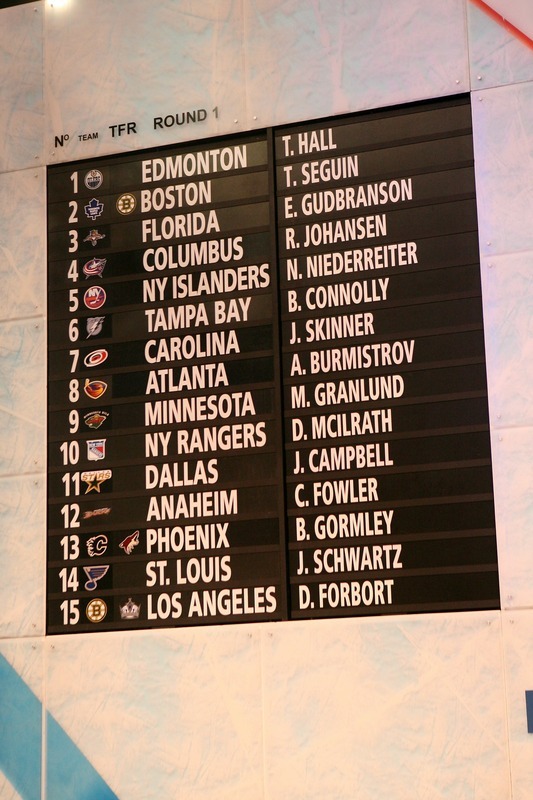 Starting in 2008, Upper Deck worked out an agreement with the NHL to collect the name signs on the draft board once the event was over. Upper Deck would take the signs to their factory in California, slice them up, put them into cards, and then send the cards out to the prospects to be signed. Only 25 cards for each player were created. Many hockey collectors viewed these cards as the quintessential collectible for first round draft picks and have paid large sums of money for them (unless you’re RMNB Platinum of course, in which case it’s just a drop in the bucket). A few months ago, one of the 25 Nicklas Backstrom draft board cards were put up for auction on eBay. After 20-plus bids, the card was won for $264. Currently, one of the draft board cards of Sidney Crosby is being offered for $1,200. One of Claude Giroux‘s can be purchased for $999.99. Recently, one of the draft board cards for Capitals’ fan favorite John Carlson was put up on eBay for the reasonable price of $149.99. The card, signed in blue ink, is the sixth card in the Carlson series and features what looks to be part of the L in Carlson’s name. If you’re a big fan of Captain America, which you are, this is one collectible you must have. The only Capitals draft picks to have been a part of The Cup’s set are the aforementioned Backstrom and Carlson, Karl Alzner, and Semyon Varlamov. Unfortunately, those technology-loving party-poopers over at IDS Sports have a contract with the NHL to run the digital draft board through 2015. So new sets of the Auto Rookie Boards will probably never happen again. So take my advice RMNB Platinum readers, sell off your extra yacht — you know, the one you use only on special occasions– and grab this card. It’s about as good of a collectible as you can have of Carlson, unless you have a vial of his hair. Which we do, by the way.